securityaffairs.co - The developer, marketer, direct-seller, and wholesaler of indoor garden systems, AeroGrow International, suffered a payment card data breach. securityaffairs.co - Kaspersky Lab reported that hundreds of users have been targeted with malware over the past month as part of a recent Roaming Mantis campaign. securityaffairs.co - Unofficial security patches have been released for two Oracle Java Runtime Environment (RE) flaws yet to be fixed discovered by Google Project Zero. securityaffairs.co - Rockwell Automation released updates for Allen-Bradley Stratix industrial switches that address several DoS flaws introduced by Cisco software. securityaffairs.co - Experts at Bad Packets uncovered a DNS hijacking campaign that is targeting the users of popular online services, including Gmail, Netflix, and PayPal. securityaffairs.co - Security experts at FireEye observed the financially motivated group FIN6 adding the LockerGoga and Ryuk ransomware to its arsenal. securityaffairs.co - A vulnerability could be exploited by attackers to trigger a denial-of-service (DoS) condition on devices running RouterOS. securityaffairs.co - Currently of 300,000+ Magento stores, the vast majority of the installs is still running vulnerable versions of the popular content management system. securityaffairs.co - Researchers demonstrated that hackers can modify 3D Computer Tomography scans to add or remove evidence of a serious illness, including cancers. securityaffairs.co - Researchers at AT&T Alien Labs have spotted a malware called Xwo that is actively scanning the Internet for exposed web services and default passwords. securityaffairs.co - ZLab Yoroi-Cybaze dissected another attack wave of Ursnif Trojan, aka Gozi ISFB, an offspring of the original Gozi which source code was leaked in 2014.
securityaffairs.co - If you use a Xiaomi smartphone you should be aware that a pre-installed security software could be abused for malicious activities. securityaffairs.co - Malware researcher and founder of Yoroi Marco Ramill described a step-by-step procedure that shows how to dissect an Office dropper. securityaffairs.co - Experts at Rapid7 have discovered that over 2 million Apache HTTP servers are still affected by the CVE-2019-0211 critical privilege escalation flaw. 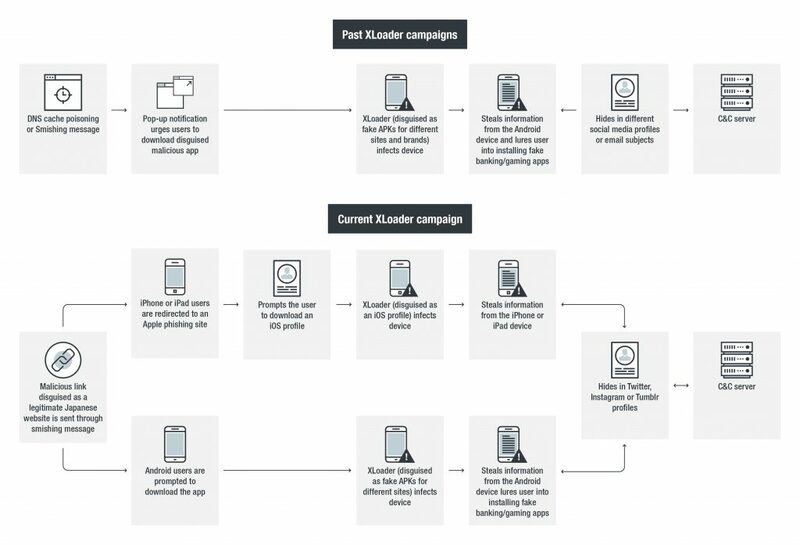 securityaffairs.co - Security experts at Trend Micro spotted a new variant of the XLoader Trojan that is targeting Android devices by posing as a security application.